The shed has an apex roof covered with our heavy-duty, heat-bonded felt and smooth exterior shiplap cladding coated with our light-oak preservative stain, allowing the natural beauty of the wood to show through. The apex roof also has a custom overhang on the gable so that the serving hatches are provided with both shelter and shade during the appropriate seasons. There is an access door in the side of the building and a 4mm toughened safety glass window for ventilation and natural light when the hatches are closed. 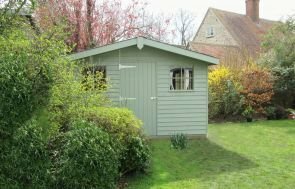 This building was selected from our vast range of Superior Sheds that can often be tailored and modified depending on your own individual needs and requirements, with a vast range of sizes and styles available. 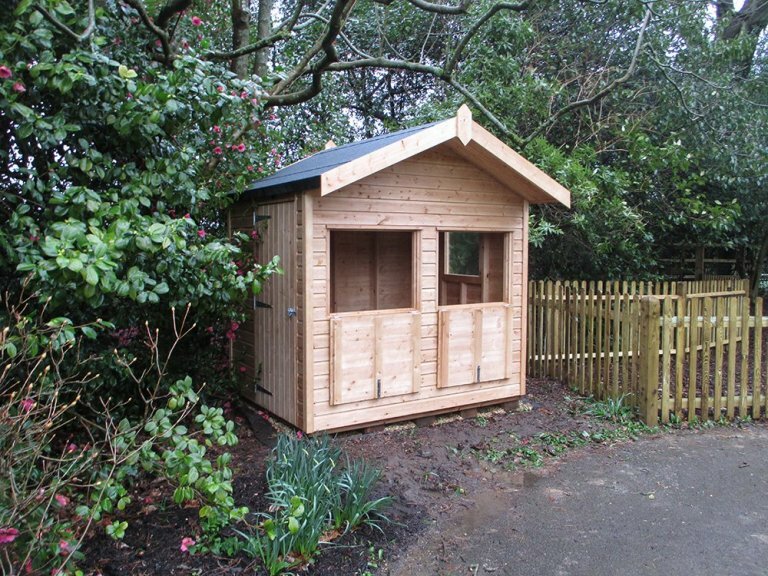 Further options include insulation, oak-faced ply lining, electrics, workbenches, heating and alternative exterior paint finishes. In order to see all of these options for yourself, you can visit us at one of our UK show sites where we have a variety of buildings on display and a team of friendly advisors on hand to assist you. In order to find out more, locate your nearest show centre here or get in touch with us on 01760 444229.